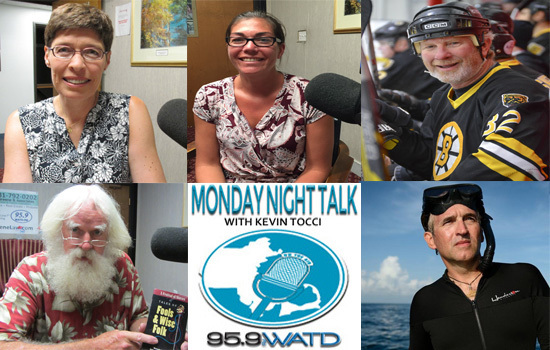 Welcome to the Monday Night Talk radio show podcast from June 18, 2018 featuring State Representative Joan Meschino, State Representative candidate Summer Schmaling; Boston Bruins Alumni Bruce Crowder; WATD's Bob Parkis and Brian Skerry, an award winning photojournalist with National Geographics and author of the new book, "Ultimate Book of Sharks." 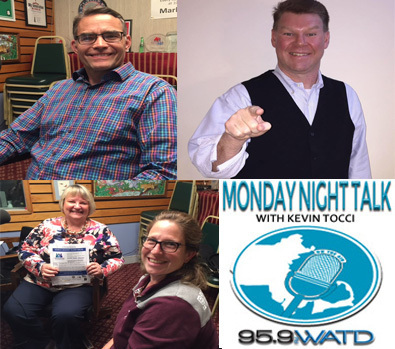 Monday Night Talk host Kevin Tocci speaks with Marion Ross, author of "My Days: Happy and Otherwise." 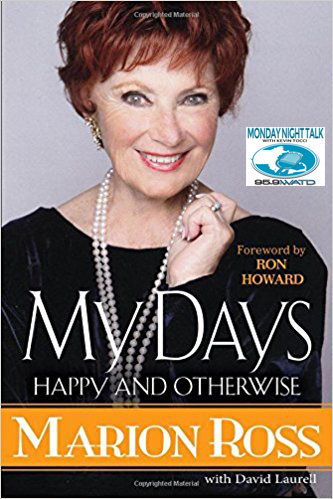 Marion is best known for her role as that of Marion Cunningham on the ABC television sitcom Happy Days on which she starred from 1974 to 1984 and received two Primetime Emmy Award nominations. 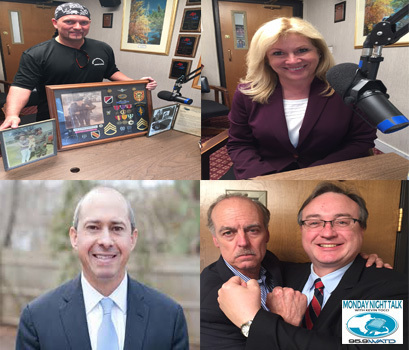 Here's the newest Monday Night Talk radio show podcast from May 28, 2018 featuring Nicole & Dan Feeney, Whitman residents and parents of a beautiful little girl named Shelby; local business owner Richard Rosen; Brockton Pastors Richard Reid and Dr Mark Oliver, plus NBC Sports Radio Host Kate Delaney! 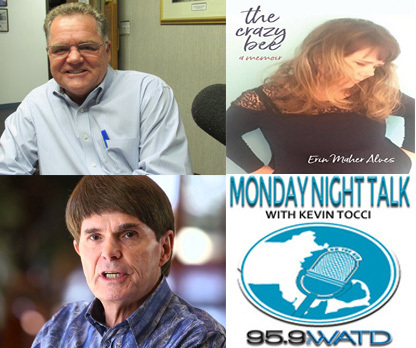 Monday Night Talk host Kevin Tocci chats with Tom Calter, who is a former state representative and new Kingston Town Administrator; Simone Winston from Winston Flowers; Erin Alves Maher, author of, "The Crazy Bee," and legendary author Dean Koontz!!! 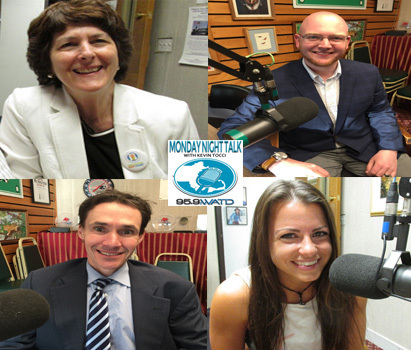 Welcome to the Monday Night Talk radio show podcast from May 14, 2018 featuring John Bradley, candidate for Plymouth County District Attorney; Sean Costello, State Representative candidate; Brockton School Superintendent Kathleen Smith and Laura Zerra, author of the new book, "Modern Guide to Knifemaking." . 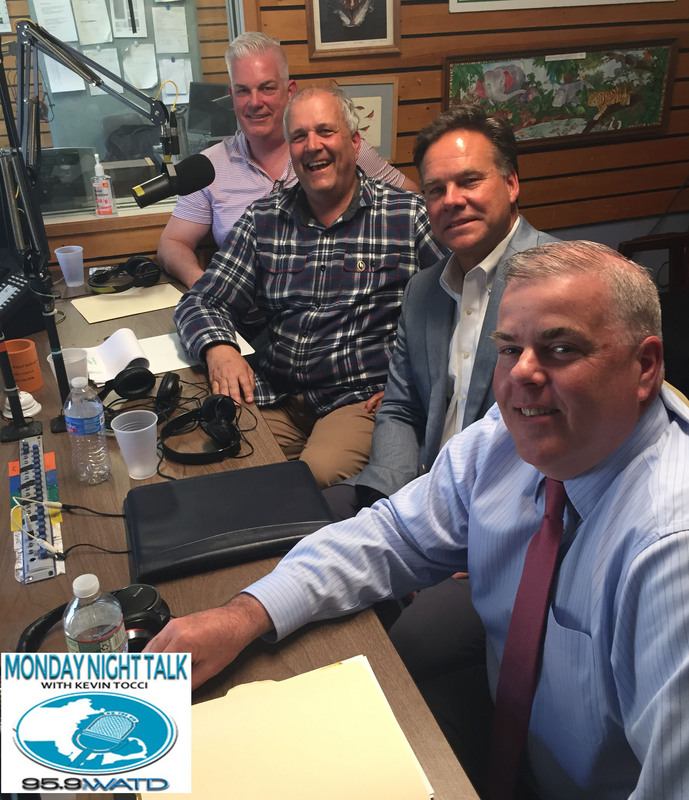 Hanover Selectmen candidates Brian Barthelmus, Dave Delaney, Dan Pallotta and John Barry participate in a WATD Political Forum held during this segment of Monday Night Talk! 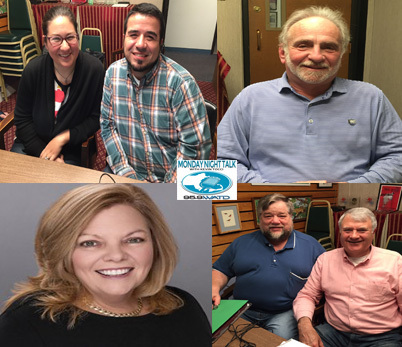 WATD Managing Editor Christine James serves as moderator, as Kevin Tocci and Charles Mathewson pose questions to the candidates about various issues in the race. 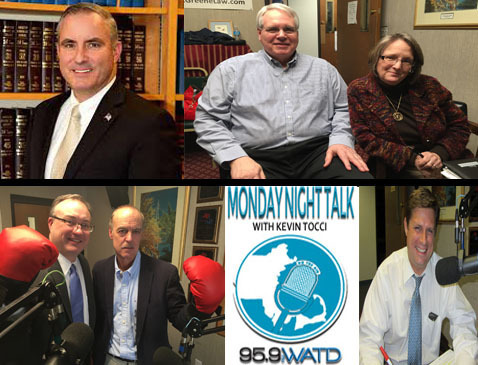 Here's the newest Monday Night Talk radio show podcast from April 30, 2018 featuring State Representative candidate Ed O'Connell; Brockton City Councilors Anne Beauregard (Ward 5), Dennis Eaniri (Ward 3, Council President), Win Farwell (At-Large) and Susan Nicastro (Ward 4); State Representative & US Senate candidate Geoff Diehl, plus a new segment called, "The Gloves Are Off" with Steve Gill and Brian Cook!